Hotel wss clean and very nice same with the staffs especially Sir Umar. Really nice and hospitable. Excellent service! Good job.. i will recommend surely to my friends. Rooms are very nice and comfortable. We had a layover at DXB and booked Flora Inn to stay close to the terminals but also have a good rest! The rooms were spacious and the bed was great. The hotel is also very reasonably priced so you could even decide to stay at Flora Inn a few nights and travel to the center by public transport or taxi. I enjoyed my stay! Awesome staff! Shout out to Umar who met on my last day! The staff was friendly and accommodating! Environment clean and comfortable! The meals were awesome at the Ghee Rice restaurant! Definitely planning to return on my next visit! I like the hotel better. Quite new. Very clean, good service, couertous service, tasty food, very helpful. Liked in general the ambience. Excellent hotel compared to cost. Appreciate staff like Umar, Rushabh and Rahul. Vijaykumar M.
Amazing facilities very friendly amd helpful staff. We were greeted very well by Mr Umar the concierge and at breakfast by Ms Jun. The duty manager Mr Pratik explained things well and handled us well upon arrival as there were some issues which were resolved very quickly. I will definitely recommend others to stay here. Also, what you see in the pictures is what you get!!! I loved to stay here everything is very nice lobby hotel staff food and all other service Thank murad organised desert and Abu Dhabi trip was wonderful experience. Will stay again in future Everything very nice for me. I have a short stay here ... their staff very helpful especially Riomar..he is a friendly person n very professional...clean hotel. Love the interiors .. fast response staffs.one of thebest hotels I’ve stayed in. 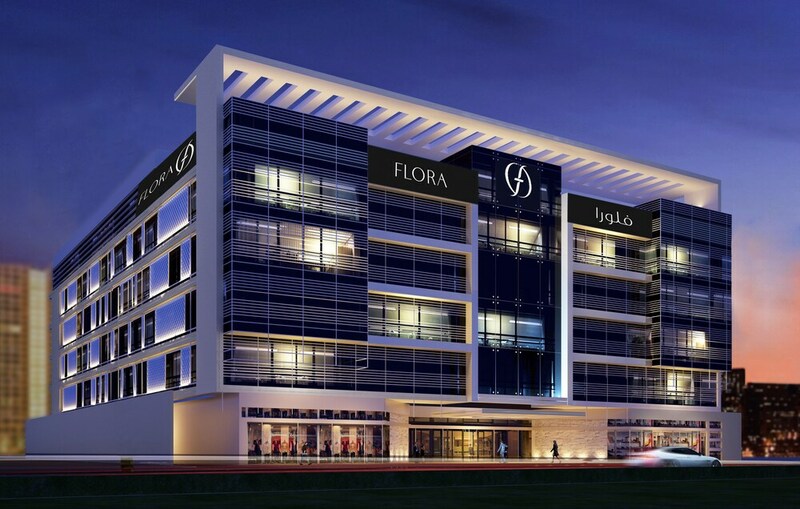 Located in Garhoud within a mile (2 km) of City Centre Deira, Flora Inn Hotel Dubai Airport is within a few miles (5 km) of other popular sights such as Dubai Creek. This hotel has 228 rooms and welcomes guests with conveniences like a restaurant, a full-service spa, and an outdoor pool. Start each morning with buffet breakfast, available for a fee from 6:30 AM to 11 AM. Order from 24-hour room service to satisfy your hunger without leaving your room, or explore the hotel and get a bite to eat at the onsite restaurant or coffee shop/café. Guests can expect to find free WiFi and 49-inch an LED TV with satellite channels. The bathroom offers hair dryers, free toiletries, slippers, and bathrobes. Other standard amenities include an MP3 dock, a minibar, and an electric kettle. Built in 2018, the brand new Flora Inn Hotel Dubai Airport features a full-service spa, an outdoor pool, and a children's pool. Free valet and self parking are available—or if you're not driving, take the shuttle from the airport to the hotel (available 24 hours) for AED 60 per room. The front desk has multilingual staff standing by 24 hours a day to assist with dry cleaning/laundry and concierge services. Other amenities at this spa hotel include a health club, a sauna, and free WiFi in public areas. Buffet breakfast is served daily from 6:30 AM to 11 AM for a fee. The hotel has an outdoor pool and a children's pool. A health club and a sauna are other recreation options. The front desk is open 24 hours a day. For convenient arrivals, you can take advantage of the airport pick-up service (fees apply). Driving? This property offers free parking. After-hours check-in is not available at this property. Guests arriving outside front desk hours will need to wait until the next morning to check in. 24-hour airport transportation is available on request. Fees may apply. Guests must make arrangements in advance by contacting the property. This property offers shared free airport shuttle drop off service to Terminal 1 and 3 only. Private car transfer service from Terminal 2 is available for a fee. Guests must contact the property 24 hours in advance to request either service. The following credit cards are accepted: American Express, Mastercard, and Visa. The hotel provides transfers from the airport (fees apply). To make arrangements, contact the property with arrival details prior to travel, using the phone number on your booking confirmation. Reservations need to be made in advance for massage services and spa treatments. Contact the hotel at the phone number listed on your booking confirmation. Registered guests are the only ones allowed in guestrooms. A tourism fee is imposed by the city and collected at the property. The fee is AED 15 for the first bedroom per night, and increases by AED 15 per night for each additional bedroom. For more details, please contact the property using the information on the reservation confirmation received after booking.